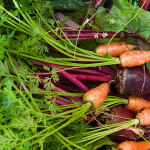 The carrots were tiny – we’d picked them at an inch long, just to see what they were like; curious to find out what was percolating under the organic soil bed. And WOW — those carrots were easily the most carroty carrots I’ve ever tasted. I suddenly understood what Frances Mayes was talking about in her book Under the Tuscan Sun when she waxes poetic about how the most simple ingredients are so ripe and delicious in Italy, on her land, that nothing more is needed but the tomatoes and olive oil and garlic. I could see how something so delicious as this CARROT would not even need hummus (even the amazing buffalo flavor hummus from Whole Foods! ), because it was so good all by itself. And it’s not like I’m vegetable-deprived. My family spend lots of time on Grandma’s farm in Wisconsin where there was a huge variety of garden-fresh produce: red and yellow watermelons, broccoli, strawberries, tomatoes. And we shop at organic veggie stands when we want. But somehow I’d never before experienced CARROTNESS like this. Have you? 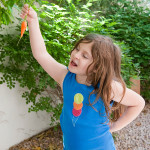 In any case, we love our small organic garden; it’s our patch of verdant life and bounty in a parched corner of Phoenix where the sun is already beating down at 102F at the end of April. The thrill of picking our our tomatoes, chard, bok choy and green onions is still a surprise to me. When I go to the garden, I feel a bit like a kid on Christmas morning, or someone that has been given a huge present in a fancy bow. I feel proud and eager. And although the money & time put in does not render equivalent bank account savings, it is delivering us additional joy and family together time (Isabel loves to harvest and to help her Daddy plant things…she likes to water….) when we all go out to work on the garden together. 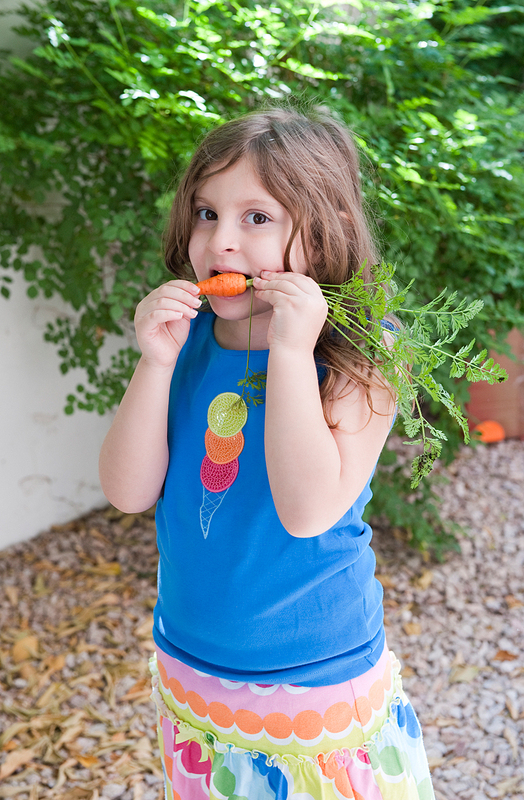 So I say, ‘bring it on’ to that carrot – I can’t wait for more of them to ripen! 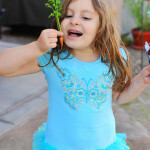 This entry was posted in Life and Musings, Uncategorized and tagged carrot, garden, organic by admin. Bookmark the permalink. I know exactly what you mean. Store bought vegetables are “flavor deprived”. Look forward to the tomatoes!